Building on the top-level tone and rock-solid reliability that’s made the CUBE name famous, the all-new CUBE-GX series turns up the heat with even more versatile operation and connectivity for Apple’s iPhone, iPad, and iPod touch. With 40 watts of power and a custom-designed 10-inch speaker, the compact CUBE-40GX is the ultimate go-everywhere amp for gigs, recording, and practice at home. 11 COSM® amp types and three independent channels—including a fully programmable SOLO channel—provide sounds for playing any style, with remote control of channel switching, effects, and more via the optional GA-FC Foot Controller. i-CUBE LINK takes practice and mobile recording to a new level, providing a built-in audio interface for working with music apps on your favorite iOS devices. The optional GA-FC Foot Controller is the perfect partner for the CUBE-40GX, with six footswitches for selecting amp channels and turning effect sections on/off. It’s also equipped with two expression pedal jacks for foot control of input and master volumes. Setup time is lightning fast—the GA-FC requires no AC power adapter, and connects easily via its included stereo 1/4-inch cable. Remote channel switching on the CUBE-40GX is also possible with optional BOSS FS-5U or FS-6 footswitches. 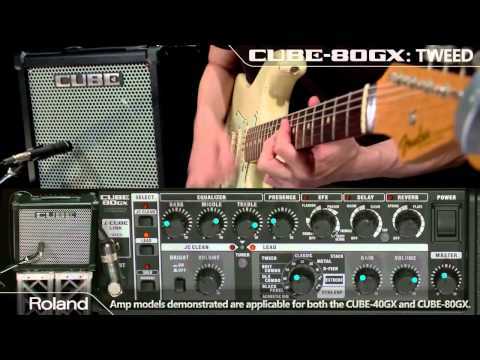 Onboard the CUBE-40GX is Roland’s innovative i-CUBE LINK interface, which lets you integrate with your iPhone, iPad, or iPod touch using a real guitar amp with great tone. 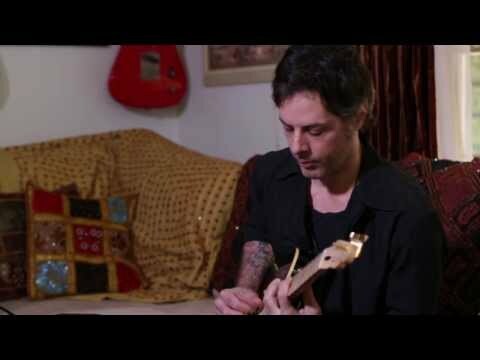 Unlike typical bulky and inconvenient iOS guitar interfaces, i-CUBE LINK connects to your device’s audio jack quickly and simply with the included cable, providing two-way communication with your favorite music apps. With i-CUBE LINK, you can play along with music tracks and send studio-quality COSM guitar tones with effects straight into the recording app of your choice. The versatile i-CUBE LINK jack can also be used as a simple stereo input, enabling you to plug in nearly any music player or audio device and play it through the CUBE-40GX. Available for free from the App Store, the Roland CUBE JAM app turns your iOS device into a fun command center for jamming, recording, and learning. 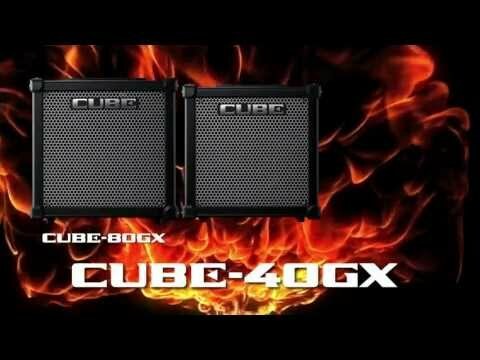 Play back commercial songs and minus-one tracks through the CUBE-40GX via i-CUBE LINK and riff along for hours with the amp’s great COSM tones. CUBE JAM also records audio through the i-CUBE LINK connection, letting you capture your jams with a single touch. After recording, you can adjust the volume of your guitar and backing music independently in the app, then export your mix to a 16-bit, 44.1 kHz WAV file. CUBE JAM also includes powerful tools for music practice, including independent speed and pitch adjustment of audio playback, Center Cancel to remove solos and create your own jam tracks, and more.